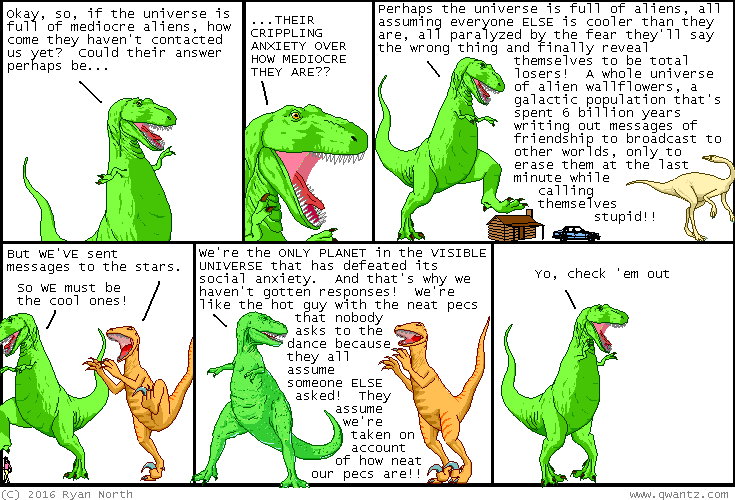 Dinosaur Comics - August 24th, 2016 - awesome fun times! –Also that was a private time but WHATEVER! August 24th, 2016: Still feeling good about officially making "sandos" a word, not gonna lie! Feelin' PRETTY GOOD over here.